this is the kind of salad that i actually reserve for the colder months. there’s the citrus, which makes me think of the holidays(! ), and the boldness of crunchy fennel and whole parsley leaves that makes me take it seriously. because who wants a wimpy salad in winter? you need something a little richer right now, like something spiked with hazelnut oil and red wine vinegar. 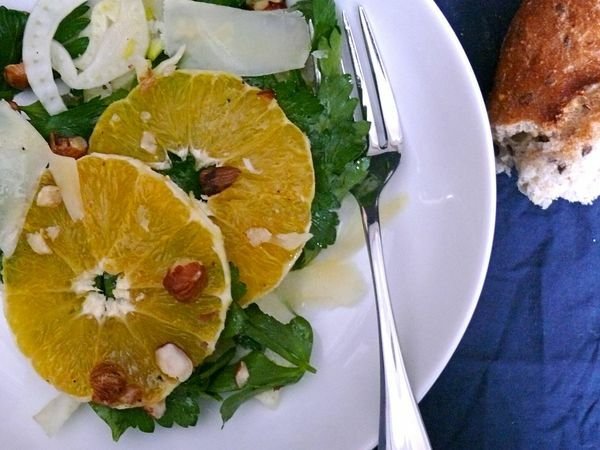 a salad that with a chunk of baguette–and a glass of wine–equals dinner. 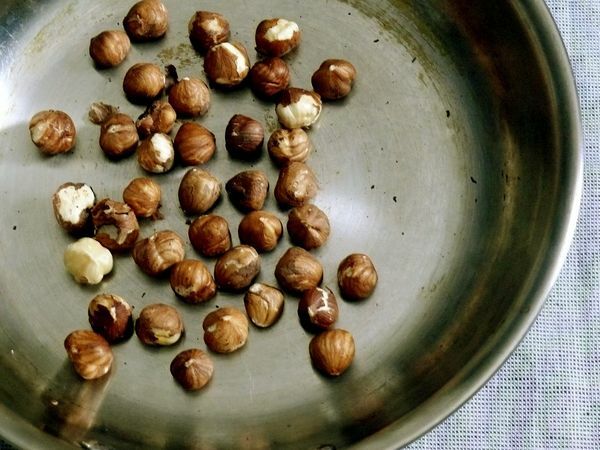 …in the way of healthy, chopped hazelnuts. ok fine, and cheese. i’ll leave it up to you to decide exactly how much. YS note: I wash the orange because I find it easiest to get thin, intact slices by slicing with the peel on. The peel seems to slip off the slices easier than when peeling whole too. 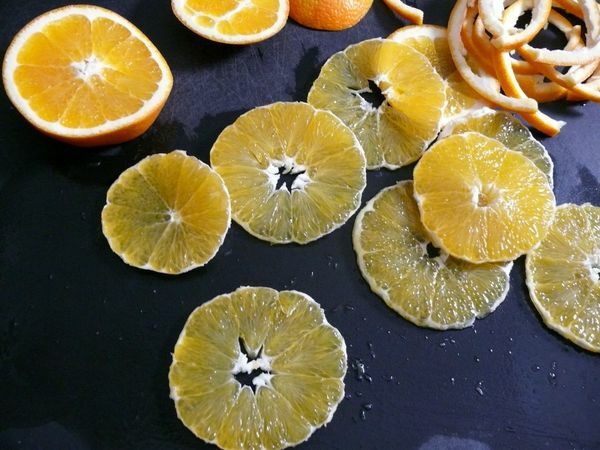 Cut 6-8 thin slices, crosswise, from the orange. Then carefully remove the peel and any pith from the outside and centre. Juice the remaining orange for the dressing. Whisk the oil, vinegar, salt, pepper and 1 tbs of the orange juice together. Taste and adjust seasoning as necessary. Toss the fennel and parsley in the dressing and arrange in a serving bowl or plate. Layer the peeled orange slices on top. Sprinkle with chopped hazelnuts and shave some of the cheese over top. Drizzle with any remaining dressing and serve. What a lovely site you have! 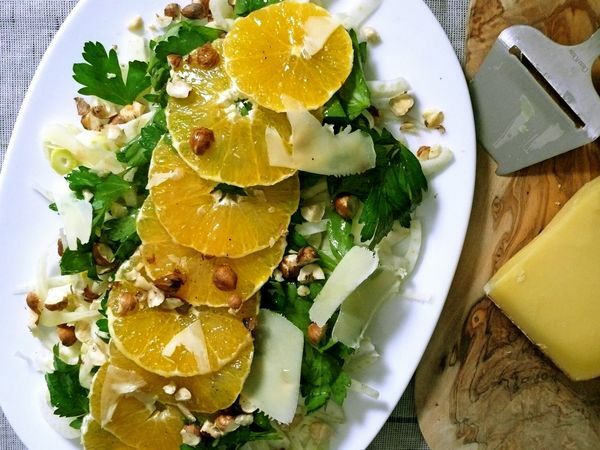 I am such a fan of citrus with fennel and hazelnuts.